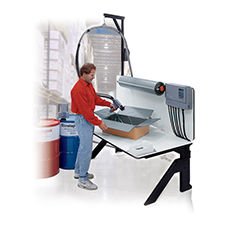 Economical Instapak® foam cuts your packaging material costs without compromising product protection. Instapak® foam expands in seconds to form protective cushions, significantly improving productivity. Economically and efficiently protects products of any size, shape and weight. Whether your packaging requirement is precision cushioning, high-speed void fill or heavy-duty blocking and bracing, there is an Instapak® system to meet your needs. Instapak® foam has unique cushioning properties that protect your products during shipping, warehousing and handling. Instapak® foam expands up to 200 times its liquid volume, when, where and as you need it, significantly reducing the costs of storage and handling. Two 55-gallon drums of liquid components when combined can create a trailer-truck load of packaging material. 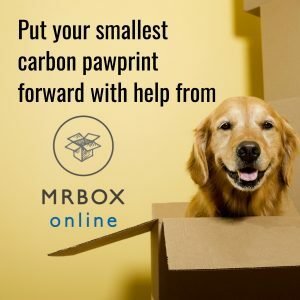 We urge you to contact MrBoxOnline.com for more information. Please email Jeff@MrBoxOnline.com or David@MrBoxOnline.com. This packaging material is comprised of a creamy yellow polyurethane foam encased in a silver, white or pink polyethylene film. The cushion (both foam and film) can be returned to Sealed Air. We have established 25 return centers worldwide for Instapak® foam cushions. Instapak foam requires less cushioning material in each pack, reducing package size and weight. By expanding on-site as much as 200 times, it reduces the number of trucks needed for distribution. Material can be also be returned to any Sealed Air location. In those communities where municipal Waste-To-Energy (WTE) incineration facilities are available, Instapak provides a positive waste-to-combustion contribution. Please ship the cushion(s) prepaid (COD's will not be accepted). If you prefer to drop the material off, please call the site in advance. The cushions may be bagged, baled or boxes. The foam must be clean, dry and not adhered to any corrugated cardboard material. Need information about returning used drums? Ultra-Lite "A" and "B", G-Flex "A" and "B". Instapak "A" used with the following "B" chemicals"